Discussion in 'United Soccer Leagues' started by thefishy, Sep 28, 2014. 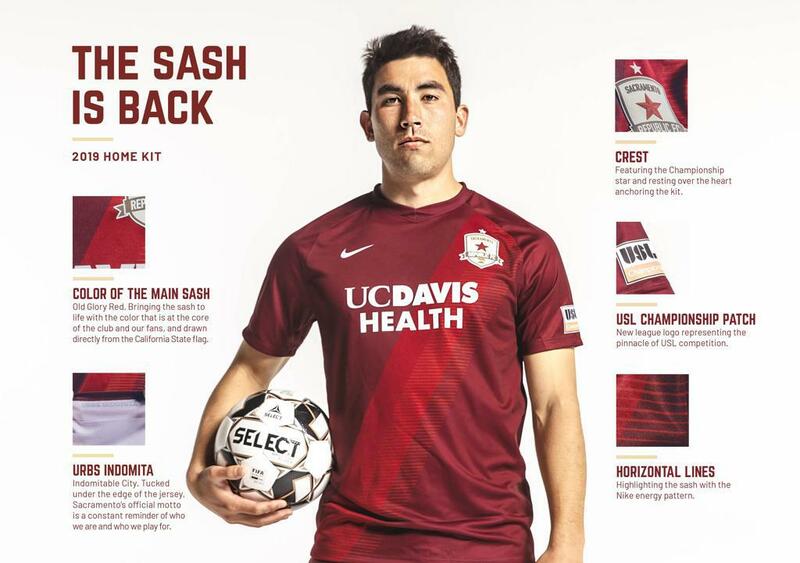 Seattle Sounders 2 have been rebranded to Tacoma Defiance with Multicare Health Systems as the "presenting partner"(No idea what that means, but it includes the jersey sponsorship). Along with the new brand it was announced that the NWSL's Seattle Reign will be moving down to Tacoma and dropping the Seattle from their name. For those not familiar, Point Defiance is an area of Tacoma and is home to a very popular park and zoo. Every single game is intended to air on the streaming service. Lookingforleftbacks, m vann and USSoccerNova repped this. I'm actually surprised as these are some of the least supported USL (PRO) teams. I sorta like it but I'm not a fan of ESPN +. But they are giving me little choice. The United Soccer League (USL) and ESPN announced today the full 2019 schedule for the USL Championship Game of the Week. The schedule features more must-see games airing across ESPN’s linear networks than ever before, with eight contests set to air on national television over the course of the regular season, as well as an additional 14 to stream digitally on ESPN3. Love this. The more exposure the better for the league. Eight nationally televised is awesome and exciting. ESPN3 is easily accessible for those additional 14 matches. I love the growth of the league and the direction it is headed. TV will play a HUGE part in that growth and success. TV will play a HUGE part in that growth and success. I don't think national TV exposure will mean much of anything to the league. I think local TV exposure is a bazillion times more important. For the handful of teams that don't otherwise have any local broadcasts, the espn2 and espnNEWS games will serve in-market as a good opportunity to capture screens at local sports channels or capture the odd channel surfer. As far as the espn3 games, I don't really see any difference between that and other streamed games. It's really hard to get a streamed sporting event on the TV at the local bar unless they're familiar with the process and willing to do it. Baseball is far more popular than soccer in the United States and AAA has never really had a national broadcast. Occasional games get picked up on the cable networks, but the minor league baseball teams understand where their paying audience is. The key is local exposure. Getting on the local RSN is far more valuable to USL teams than the odd annual game or two on espnNEWS or espn3. That said it's still good news. I don't think it'll move the needle as far as growth or success. song219 and Expansion Franchise repped this. Agreed. Local TV is more important. No doubt about that. i completely understand that aspect. It's not only the expanded coverage on the RSN but also in print / digital media that has a great impact. Baseball has made tons and tons and tons of money off RSN despite the declining national TV ratings. Having coverage on ESPn won't move the needle much, like you said, it serves more of a "niche" market for those searching for game here and there or having interest in the USL. That still leads to some growth. Maybe not substantial growth but every little bit counts if you're the USL. Odds are, USL is paying to be on ESPN+. Anyone can sign up there. Tons of colleges/conferences use the platform. I'll echo the local tv sentiment. But, more than anything, the leagues need major revenue sharing from media. That's not happening. It helps with financial sustainability. Doubtful, but at least a stream on YouTube could potentially generate more revenue for individual teams. Overall, viewership is still low for USL games. OKC Energy are backing a proposed city owned 10K downtown stadium where the Energy would be the main tenants. The proposal, to be voted on this year, includes working with Energy owner Tim McLaughlin's non profit, Fields & Future - that refurbishes athletic programs and facilities around OKC and would spruce up and expand on a local soccer complex. Clean kits. The Republic always does it well. SierraSpartan, KicksNgiggles and Burr repped this. So where do we go to talk ongoing USL games? Watching Tacoma v Sacramento now, and it is amazing the amount of guys I recognize from MLS in the lineups. Sounders loaned 10 players to the Defiance for the game. 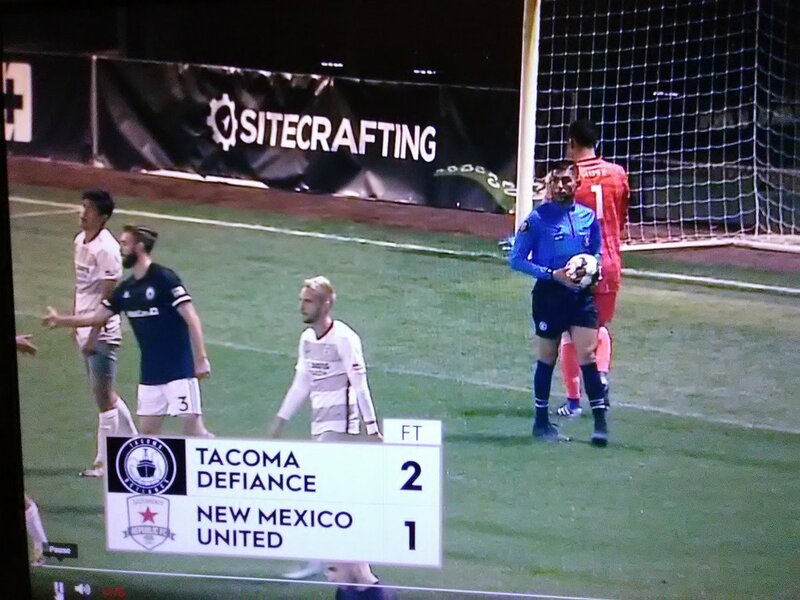 The Defiance had a game on Friday and played their regulars and the Sounders have 3 games next week and they’ve had the same starting lineup for every game so far. As a result, a lot of the first tram players that will be getting playing time next week, but haven’t much playing time so far this season are getting a tune up game against the Republic. This pickup team on loan looks alot better than their regulars. Yeah, I see ... Nouhou, Bruin, Bwana, Wingo, etc. Very interesting to watch. Not a fan of the reserves teams being able to do this. hipityhop, Justin O and USRufnex repped this. The Defiance’s regulars? Shouldn’t be surprising. The Defiance have the youngest team in USL and are often literally playing their kids with a combination of academy call-ups and U18 Defiance signees. Yeah, like every league there is a difference between grown men with experience, and youngsters. Bruin still looks like a star at this level. SLC beating up on Reno, but what a save by the Reno keeper, down 3-0. USL-C Week 5 Player of the Week is Kai Koreniuk of Los Dos. He got a brace and an assist against Tulsa. USL-1 Week 2 Player of the Week is Conner Antley of South Georgia Tormenta. He assisted in all three of their goals when they hosted Tucson mid-week. How's the move to Tacoma working out? I don't see too many folks in the stands. I'm planning to head up there May 12th for the T2 visit. Tacoma is up and down. Early on, probably the best-performing O&O. Watching Memphis v. AU2. Very good attendance in Memphis. Very few seats open (besides home plate corner, understandably tarped off), lots of people in the berm. Do blowout combs count for USL-C? If I can get a ruling on that, there are three more we can add for 2019. This is already Tacoma's second suffered. Ottawa v Loudoun is the early game. Ottawa almost scores moments in as Earl Edwards looks almost confused on a straight-forward shot.